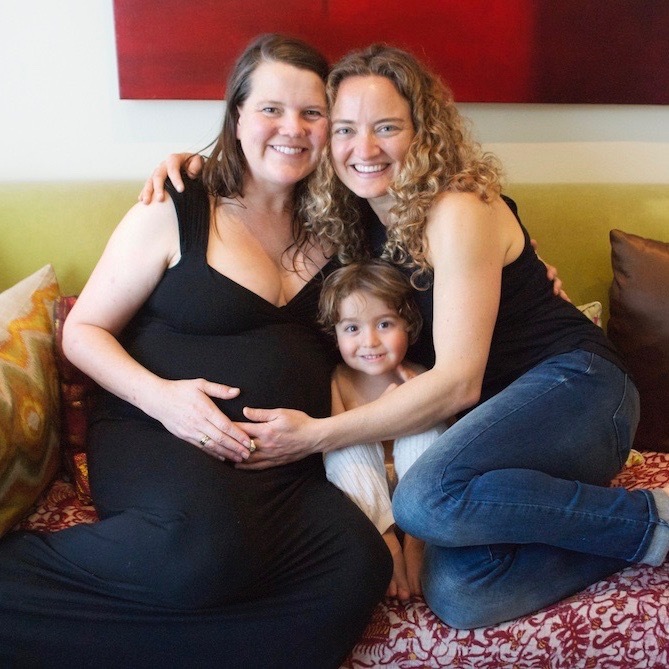 I have been a birth doula in San Francisco and the surrounding area since 2000 and bring not only my experience of over 400 births, but also my training as a yoga teacher, bodyworker, HypnoBirthing educator and photographer. 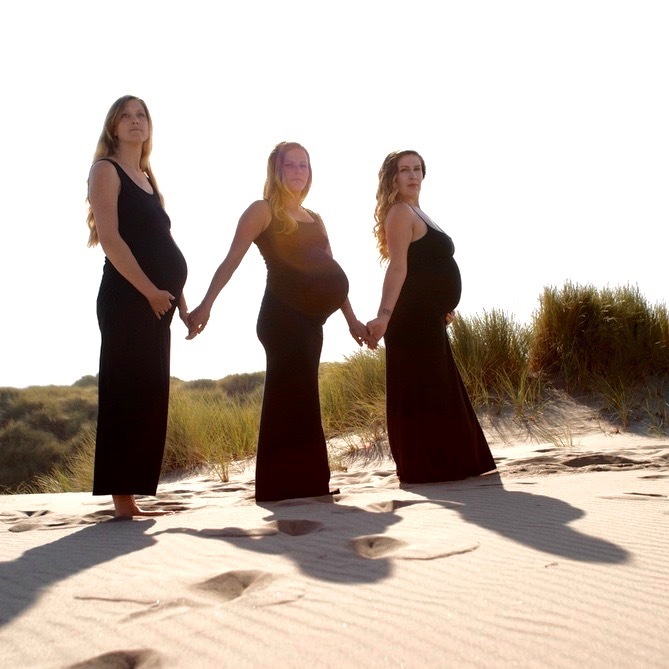 In my work as a prenatal yoga teacher, I connect with hundreds of pregnant women every year, learning from them, sharing birth stories and offering them conscious birth preparation through yoga, HypnoBirthing and mindfulness meditation. The inspiration for my work as a doula is that birth is a natural, normal function of the pregnant woman’s body and that most women have the ability to give birth naturally, with the right mindset, preparation and support. Giving birth can be a sacred rite of passage that taps a woman into her deepest power, helping her see how truly strong and resilient she is. Because I have seen the way (excessive) interventions can seriously interfere with this natural, intuitive, potentially empowering process, I have chosen to focus on working with women who believe (or want to believe) in their own power to give birth, are interested in making informed choices and are willing to take responsibility for themselves in preparation for and during the birth. My practice is very holistic, as I strongly encourage the women I support to examine (and sometimes adjust) all aspects of their lives as they prepare to give birth to their child, as well as to their new selves. I currently offer my doula services in a partnership with another very experienced doula, Lauren Miller. You can learn more about Lauren at her website. When working with a doula team you get two doulas for the price of one—you’ll have meetings with each of us leading up to your birth, so you feel really comfortable with both Lauren and myself. During your birth, you can count on one of us to be there to support you. 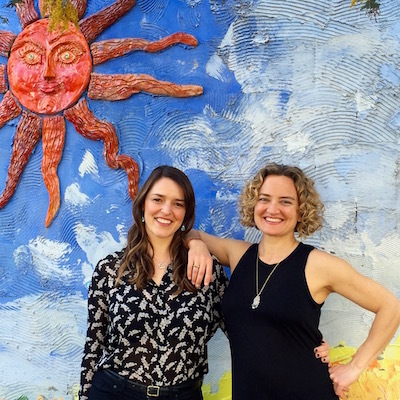 So you can glean the skills, wisdom and support of two very seasoned, skilled and confident doulas. We will assist you in creating a realistic and optimistic vision for your birth, help you work through your deepest fears and reservations and help your partner remain an active, effective role in this amazing experience. As you begin to visualize and prepare for your ideal birth, you will develop a sense of confidence and strength that will carry you through the challenges of labor and birth. As your doulas we can be your mentors in preparing for your ideal birth, working as a team with your partner and/or family, as well as the hospital staff or homebirth midwives to make sure that you are well cared for and deeply met during this intense and transformative time. We will accompany you in labor to help ensure a safe and satisfying birth experience. We draw on our knowledge, experience, and intuition to provide emotional support, physical comfort, and, as needed, communication with your midwives and / or hospital staff to make sure that you have the information you need to make informed decisions during labor. We provide reassurance and perspective to both the birthing mother and partner/family, make suggestions for labor progress, help with relaxation, HypnoBirthing, massage, yoga/positioning and other techniques for comfort. Together we will create the best birth experience possible. After the birth, we will help you review and clarify how things went at your birth, answer any questions and offer resources to support your conscious, healthy and empowered transition into parenting. Through all these years of working in the San Francisco birth community, we are powerful resources that can help connect you with your dream team of holistic maternity care providers such as homebirth midwives, OB’s, chiropractors, acupuncturists, bodyworkers and all other types of practitioners. 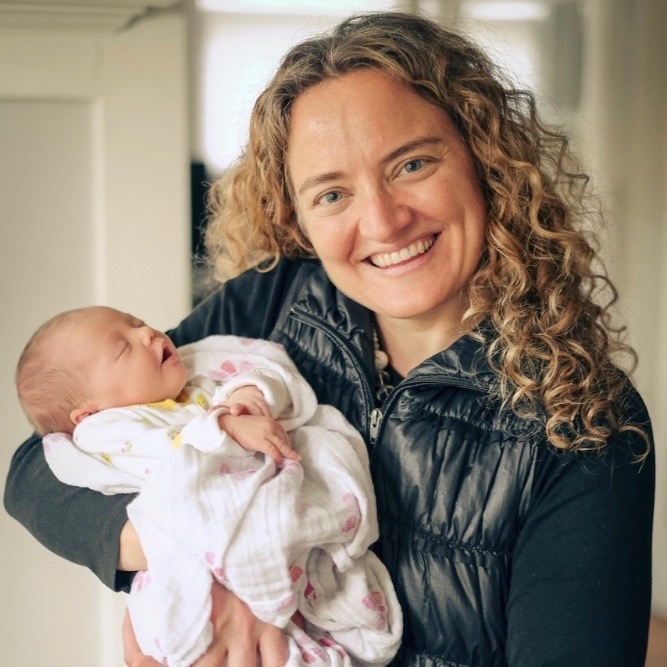 Two 3-hour ADDITIONAL postpartum sessions with Lauren where she will help with newborn care, breastfeeding, meal preparation and household chores. One 90-minute Depth Hypnosis session with Sandra Lloyd. A $200 travel fee applies for families living and/ or birthing outside of SF. We offer a 45-minute complimentary Initial Consultation with you (and your partner, if you have one) at my space in Bernal Heights. In this meeting we would discuss what you are looking for in your labor support and go into greater detail about our practice, approach and philosophy. In addition to the work that we do prenatally, we strongly suggest taking Rachel Yellin’s Hypnosis Based Childbirth Preparation Classes* and listening to her Pregnancy Birth and Beyond Audio Program. The program will help prepare you and your partner for the most natural, conscious and empowering birth possible, while helping you develop and deepen a relaxation practice that will be crucial in your birth and also in your life as a parent. If you’d like to download her audio program, make sure to use the code “brittf” to save 20%! I’ll send out some potential dates and times to meet. If you have further questions, I’m happy to chat with you first over the phone. Another great way for us to meet and for you to get a feel for my style and approach is by coming to one of my prenatal yoga classes or workshops. Make preparing for your birth a priority. Set aside time each day to relax, go inward, and practice various birthing techniques. Do what you can to incorporate our lifestyle, nutrition, exercise and health suggestions. Begin to recognize that you are in charge of and responsible for your own birth experience. Be open to seeking further holistic care to address any limiting thoughts, fears or experiences that could affect your birth. To receive a $25 discount on Rachel Yellin’s Childbirth Education classes, enter the code “25bucksoff” on Rachel’s registration page. Be sure to list “Britt Fohrman” in the registration referral prompt. EXPLORING YOUR BIRTH OPTIONS? NOT SURE YET WHAT YOU WANT? Are you early in your pregnancy and still trying to decide where to give birth? Want some guidance from an experienced professional about how to best maintain a healthy pregnancy and prepare for a natural birth? Not happy with the care you’re currently getting? My pregnancy and birth options consulting sessions will help you navigate the myriad options available to you, as you assemble your team for your ideal birth. I look forward to partnering with you to create a safe, satisfying, conscious and empowering birth experience for you and your baby!